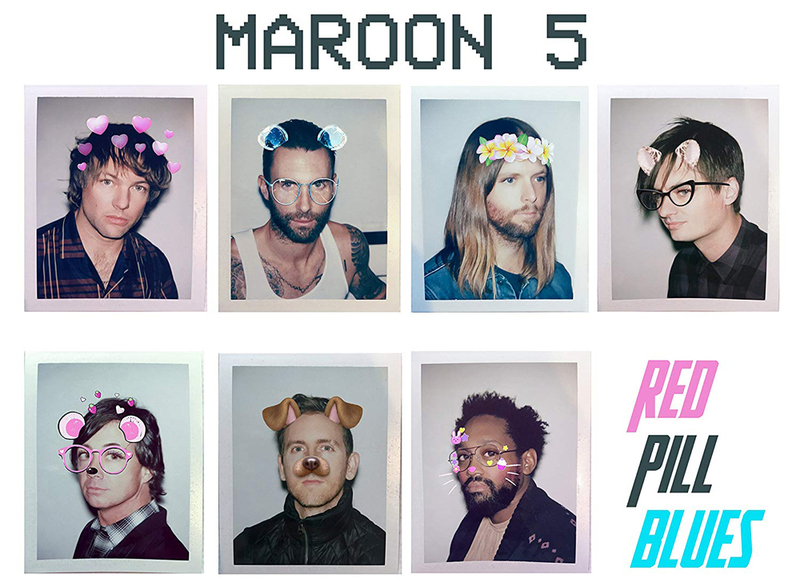 Three-timeGRAMMY® Award-winningmulti-platinum band Maroon 5 haveannouncednew details of their Red Pill Blues World Tour. 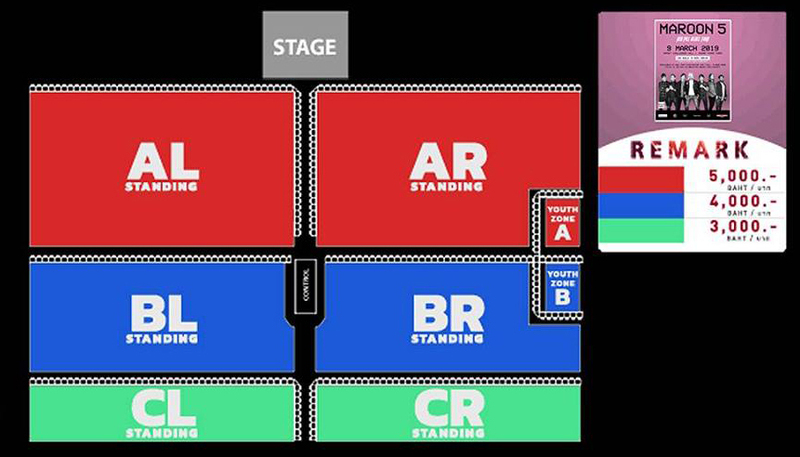 The international run is produced by Live Nation and promoted in Thailand by Live Nation BEC-Tero. Their Bangkok show will be on 9 March 2019 at Impact Challenger Hall 1, Muang Thong Thani. 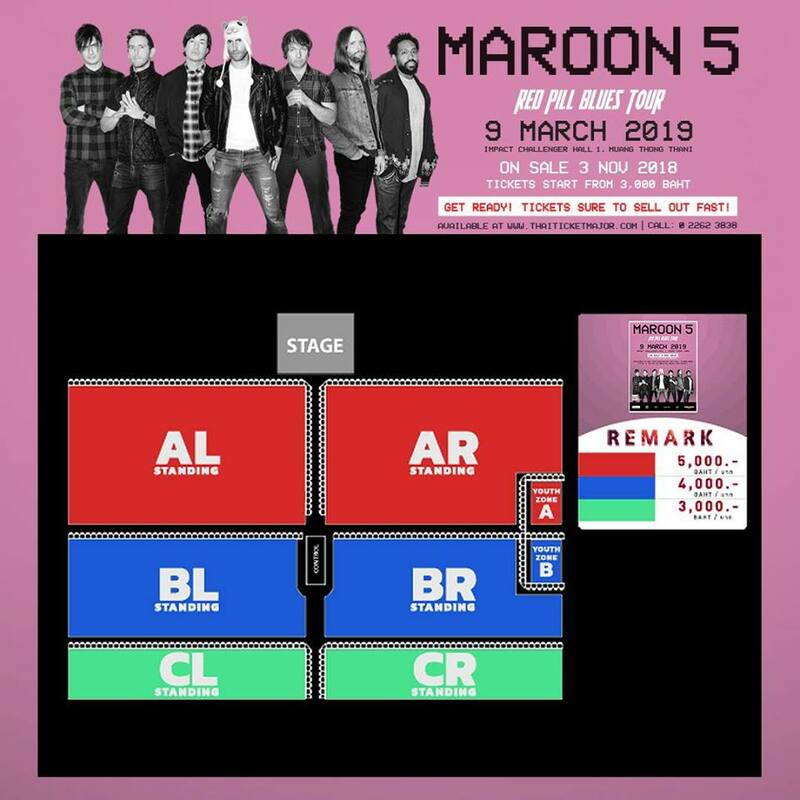 Ticket prices start at Bt3,000 and are available from3 November2018 at ThaiTicketMajor.Maroon 5 Fan Club presale will be on 31 October – 1 November with exclusive presale for Live Nation members on 2 November at all ThaiTicketMajor outlets. Both previous Bangkok shows by Maroon 5 in 2011 and 2015 were fast sell outs. Now the bandreturnswith their Red Pill Blues World Tour and a new show that is sure to delight old and new fans alike. “Girls Like You,”Maroon 5’s most recent single, hit#1 on the BillboardTop 40 and HOT AC charts, #1 on the Billboard Hot 100 and #1 on iTunes and Spotify, all while accumulating almost 300 million Spotify streams and 679 million YouTube/ VEVO views.The single, featuring Cardi B, is available on the Deluxe Edition of Maroon 5’s platinum-certified sixth full-length album, Red Pill Blues.“Girls Like You” is the fifth hit from Red Pill Blues, following the global hits “Don’t Wanna Know”, “Cold”, “What Lovers Do” and Wait”. 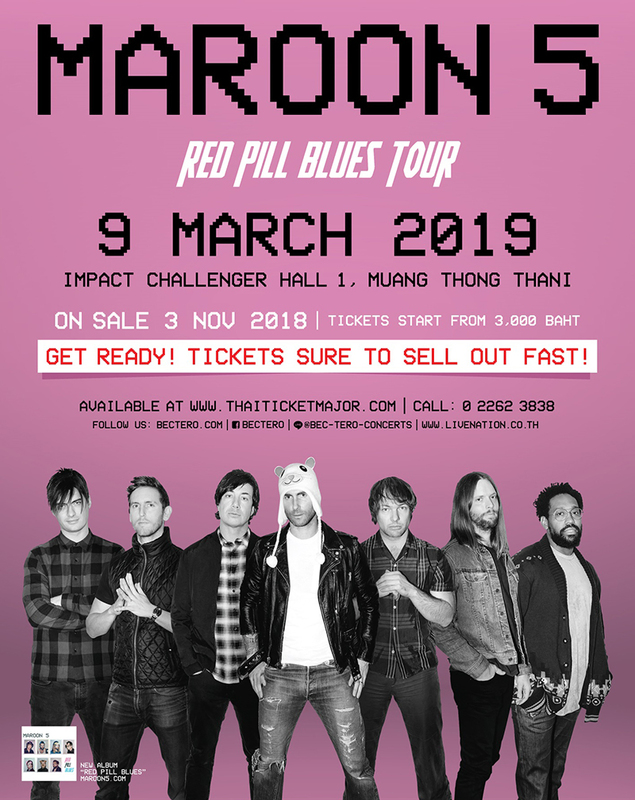 Don’t miss out on your chance to experience the Red Pill Blues World Tour live in Bangkok for one show only on Saturday 9 March 2019.For more information, please visit www.thaiticketmajor.com or call 0-2262-3838. For latest updates, please log on to www.bectero.com or follow us on www.facebook.com/bectero, Twitter @BEC_Tero_Ent, and Instagram @BECTERO_ENTERTAINMENT.